The more individualistic a country is, the better it has used its labor and capital. ...even in recent years, countries with more individualistic cultures have more innovative economies. They demonstrate a link between countries that surveys show are more individualist and total factor productivity, a proxy for innovation measuring growth due to more-efficient use of labor and capital. Less-individualistic cultures, such as France, Spain and Japan, showed less innovation than the individualistic U.S. In God is a Capitalist I summarize the work of Geert Hofstede who trail blazed research on the connection between individualism and economic growth in the 1970s, Shalom Schwartz in the 1990s, and William Easterly in 2011. All found very strong correlations between individualism and economic growth. Helmut Schoeck demonstrated that innovation is the opposite of envy in his great book, Envy: A Theory of Social Behavior. In other words, innovation cannot happen unless society restrains envy enough to allow innovation to flourish. Schoeck argued that only Christianity had succeeded in suppressing envy. Larry Siedentop confirmed Schoeck’s thesis in his Inventing the Individual in which he explains how Christianity did it. Why, then, do so many Christians find fault with individualism? Individualism confuses as many people today as do the terms capitalism, justice, liberalism, and secularism. Of course, the socialist modus operandi is to muddy the waters and redefine important terms in order to guarantee an automatic win for their side in any debate. If we accept the socialist definition of any of these terms we have to give up and join them. Hayek untangles the confusion in his essay “Individualism: True and False.” True individualism carves out for the individual certain rights against the power of the state. Those can be summarized as the rights to live, liberty and property. But in the French Enlightenment, atheists and deists (sentimental atheists) created a new type of individualism that put people at the center of the universe. Individuals orbited God in the original individualism; God and the entire universe rotated around the autonomous, self-generated individual in the astrology of the Enlightenment. False individualism rejected all things old, especially Christianity, morality and tradition. It embraced only what each individual, atheists that is, could understand and see the results in the near future. It is near sighted in its vision and razed all institutions but the state. The goal of the false individualism was to make all individuals equal in wealth and to accomplish that through an all-powerful state. The authors of this fiction called their system socialism. True individualism is as different from the false kind as capitalism is from socialism, innovation is from envy and light is from darkness. 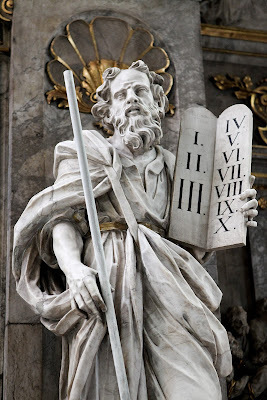 True individualism, the kind Phelps, Hofstede, Schwartz and Easterly wrote about, came from Christianity and led to miraculous wealth for the West. False individualism came from atheists and deists and gave us communism in the Soviet Union, Eastern Europe, China, North Korea, Cuba and now Venezuela. False individualism generated socialism because of the atheist/deist view of human nature. The traditional Christian view, derived from the doctrine of original sin, said that mankind is born flawed. Parenting, education and the law have some influence, but that basic flaw continues and we have to work with humanity as it is. Only God can change human nature. Atheists/deists insisted that people are born innocent and turn to evil only because of oppression. Property is the greatest oppressor. Therefore the state can perfect humanity by expunging property, distributing equally all wealth, and educating the masses. T.S. Eliot ridiculed false individualism: "The danger, for those who start from the temporal side, is Utopianism; settle the problem of distribution - of wheat, coffee, aspirin or wireless sets - and all the problems of evil will disappear." Mackintosh asked what all of this means for China. That nation began its miraculous journey in the 1980s by shifting slightly toward greater tolerance for true individualism. In the early stages, wealthy expatriate Chinese business people in South East Asia provided the capital to launch their home country’s rapid economic development. As a result, it lifted over 300 million Chinese from extreme poverty. But soon after the new millennium dawned the Communist Party decided to take credit for the Chinese miracle and began pouring billions of yuan into large, corrupt, inefficient state-owned behemoths. Growth began to slow and continues to slow. 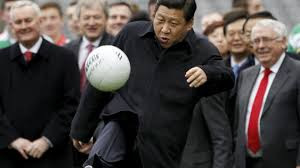 Now Xi Jinping, General Secretary of the Communist Party, President of the People's Republic of China, and Chairman of the Central Military Commission., has amassed political power equal only to that of Chairman Mao and intends to reassert control over the economy. It seems he has become a victim of his Party’s propaganda. Reining in the small amount of individualism that has allowed many Chinese to live lives their parents never dreamed of may not mean impoverishment. It could mean stagnation. Development economists have fretted for decades over the glass ceiling that most growing economies have faced: they achieve middle class status on the world stage and stop growing. They can't break through the glass because they attained their growth merely by buying Western technology and putting it to work using cheap labor. In other words, they followed the advice of mainstream economists. To break through to upper class living standards they need to change their rigid institutions, but that is difficult because it means embracing Western, Christian individualism. Embracing Christian individualism is hard because human nature rebels against it. People are naturally consumed with envy, as Schoeck made clear. We organize our economic systems around slaking our envy and fearing it. Envy is a jealous god.